We offer Invisalign, Dental Crowns, Dental Implants, Porcelain Veneers, Dentures and Partials. Dr Sukh Chauhan and Dr Michael Lin are very passionate about dentistry and have a gentle touch when working with patients. Our doctors provide high-quality & cost-effective dental care, without exception. We strive to keep up with the latest in Dental Technology, and offer a calm, relaxing environment. If you are looking for a dentist who will be there for you, not just today and tomorrow, but for all your dental needs for years to come, Pittsburg Family Dental is the practice for you. Providing high-quality dental care, highly personalized customer service, and compassionate dentistry for many years, Pittsburg dentists Dr. Chauhan, and Dr. Lin are dedicated to building long-term relationships with our patients. When you come to Pittsburg Family Dental, you become our family. We treat you the way we would like to be treated. From general dental care, dental crowns and porcelain veneers, to dental implants and dentures, we help patients achieve and maintain a beautiful smile. 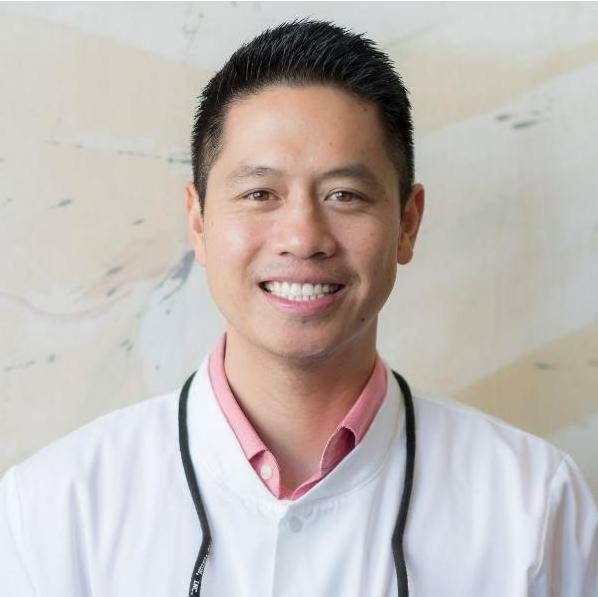 Dr. Lin's passion in dentistry comes from his belief in treating patients like he would his own family and in working with his patients to find solutions to any of their needs, whether it's relieving them of pain or improving their smile. After working more than six years as an engineer, Dr. Lin realized his true calling in life in dentistry and completed his Doctorate of Dental Surgery degree from the University of the Pacific Arthur A. Dugoni School of Dentistry. He then completed a one-year Advanced Education in General Dentistry residency in Oakland the following year. In his free time, he enjoys traveling, trying new restaurants, and rooting for his alma mater Michigan Wolverines and his hometown Houston Rockets.